At the recent Association of Personal Historians conference I bought a copy of the memoir written by my colleague Libby Atwater, titled What Lies Within. Having heard that Libby was working on her memoir–and being aware of her “backstory” as an adoptee who had found her birth family–I eagerly opened the book, expecting a tale to unfold that would hold my interest because I knew its author. If you share some common element of Libby’s experience–you were born, in other words–her tale will hold YOUR interest. Truth to tell, I had also purchased a memoir at the conference by one of our keynote speakers, far more well-known than Libby, and even though I started his first (in the airport, homeward-bound), hers elbowed his off my lap and demanded I not put it down. Fathers worked, mothers ran the household, and children were allowed to be kids. We walked to school, played outdoors afterwards, and led carefree lives, secure in the comfort of loving parents and safe neighborhoods. All this ended abruptly when family secrets were revealed, and the comfortable life I knew rapidly dissolved. With its dissolution came many losses during my early teens. Yet I survived and triumphed with the help of remaining family members, good friends, and kind strangers. Libby handles with grace telling the story of her difficult childhood and coming of age, proving that “ordinary” people can and do have extraordinary stories. Libby’s journey from adopted infant to orphaned teenager to happy newlywed, as America transitioned from the conformist 1950s into the radicalism of the late 1960s, reflects our shared social history and illuminates its often cruel effect on many lives. If you are thinking about writing your memoir, this book is worth reading because it will have you thinking about storytelling technique and the ethical challenges of telling your true story. Because family secrets were suddenly revealed, and people appeared and disappeared from Libby’s life, as a writer she needed to cope with questions of who knew what when and when did that knowledge influence people and events? She overcomes a challenging chronology to make her story understandable. 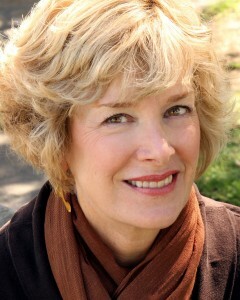 Libby Atwater has been a journalist, teacher, and personal historian. She has written for individuals, families, businesses, nonprofits, educational institutions, magazines, and community newspapers. Tales from her life have been published in several anthologies. What Lies Within is her first memoir. Its sequel, What Took You So Long, is in progress. Next week–I interview Libby about the process of writing her book. Thanks, Maureen, for putting into words what I’ve been thinking. Libby’s book What Lies Within is important because it brings truth and art together, to generate strength. To buy the Kindle version of What Lies Within on Amazon, click here. To order the print edition, click here. This entry was posted in Book review and tagged 1950s, 1960s, adoption, Hillside, New Joursey, orphan. Bookmark the permalink. Sarah, thanks for the introduction to Libby’s book. A story of hers has also been included in the third edition of my Turning Memories Into Memoirs— a dear story about how her grandmother was frisked at a security check point at an airport and the accompanying adult grandkids went wild with laughter. Grandma the terrorist!